Bruce and Alex are taking a look at the futurespast on the latest episode of We Have a Technical. Yes, futurepop, that millennial sensation, is the subject. It’s highlights, lowlights, and enduring legacies, are all discussed on the most Metallica-heavy episode (no, really!) of We Have a Technical to date. You can rate and subscribe on iTunes, Google Play Music and Stitcher, download directly, or stream from the widget down below! Spot on in all regards guys. The definitive futurepop album to me has always been Assemblage 23’s Defiance. I don’t know what kind of historical value that album still holds when compared to other iconic albums of the futurepop sound, especially coming a year after what many consider to be A23’s flagship album (Failure), but I’ve always considered it a great summation of the genre’s best moments. The sounds are dynamic, Tom’s lyrics are especially poignant on a number of subjects (hate, fear, ambition, depression) and hit close to home, and the songs have appeal that will always outlast any club or scene trends. Plus, the production is super slick and clean. I would sooner put A23 into the “big four” than Icon of Coil. IoC never really resonated with me on a personal level, but I realize they hit it big at an extremely crucial moment in the scene and packed dance floors in a way other futurepop bands likely never did. I guess A23 have stood out to me the most because of the lyrical content and the consistent musical style. My relationship with futurepop has always been volatile, but I can’t help but love Tom’s music no matter what mood strikes me. For me, Futurepop was really what hooked me into Our Thing. Although the harsher EBM and Dark Electro bands of the 90’s like Wumpscut, Hocico, Funker Vogt etc were my introduction to the scene, it was Futurepop that caught my ear in 2004. VNV Nation, Icon of Coil, and Assemblage 23 just had this sound that was similar enough to my earlier peripheral fascination with Trance music. It was a ‘brighter’ and more positive sound (even if the lyrics were not necessarily positive themselves) during a time of my life when I’d already had my fill of darker tones for a time. 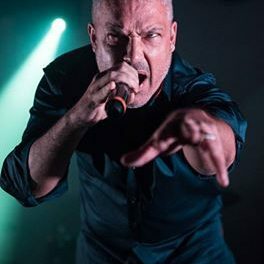 My love with Futurepop was capstoned with my first electronic music concert in 2007 when I saw VNV Nation live in Phoenix, Arizona in the USA. The experience was such a positive and thrilling one. Everyone who left the venue were smiling and equally excited. There was just this vibe in the air unlike any of the metal and rock concerts I had attended previously that I knew I was hooked. Since then, I have never looked back and happily followed Our Thing as closely as I can. Now, in this day and age, I still have a great deal of nostalgia looking back on Futurepop. It’s enough that although I haven’t kept up with Tom Shear’s music as much as I feel I should have in recent years, I knew the instant I saw that Assemblage 23 is going to be coming into town in a couple months, that it is a show I will not be missing. All in all, in my eyes Futurepop burned out pretty hard but it has left a lasting legacy. I owe so much in terms of my musical tastes to Futurepop, especially when it comes to how it shaped my taste for Synthpop which I also started to connect to around the same time. Although I’m glad Our Thing has evolved past it, there will always be a place in my heart for it. Also, I’m really looking forward to my first Assemblage 23 concert here in a couple months. It seems I have some catching up to do with respect to what came out after Meta! My friends and I sometimes speak of a “Triumvirate” of Futurepop analogous to your Big Four: VNV Nation, Covenant, and Assemblage 23. I’d throw in Neuroticfish, a few of my friends would rather include Apop or maybe Imperative Reaction, but those are the three we always fall back to. Futurepop and VNV Nation in particular weren’t only my gateway into the worlds of both goth and industrial, but really the first time in my life I’d ever had a real taste in music besides whatever my parents would play in the car. I discovered VNV circa 2009 and called myself a futurepop fan for years before I started calling myself a goth or industrial fan. Eventually I started expanding backwards, just as you hinted at: “Oh, VNV did a cover of a band called Front 242? I wonder what they’re like. Eskil mentioned the influence of “Skinny Puppy” in a Covenant interview. Maybe I should check them out. Tom Shear brought up Nine Inch Nails. I’ve heard of them, I wonder what they sound like?” And yes, I had never actually listened to NIN until after several years of listening to VNV. That’s how this band represented a breakthrough in my musical engagement. I wasn’t just looking backwards into deeper, darker territory though. With VNV as a focal point and guided mostly by wikipedia and youtube suggestions, I also landed upon Ashbury Heights. Funny you should mention that. Since I first fell in love with Futurepop about five years after its bubble burst for most people, I can’t speak to experiencing the “Futurepop burnout” you mentioned, but I can say that there is a bit of a dead zone in my music collection spanning from around 2003 to 2011 (the first year this site was running, perhaps not coincidentally). That’s not to say there’s no music from those years that I like; Assemblage 23 remained strong as they always have, Aesthetic Perfection and Ashbury Heights both came onto the scene and were wonderful, Interlace’s “Imago” happened, Grendel’s “Harsh Generation” remains a bit of a guilty pleasure of mine, and Depeche Mode released one of their best albums ever out of nowhere. But overall, when I try to picture those years in my mind (keeping in mind that this is all based on what I’ve discovered and come to like well after these years took place), I just get a feeling of… a lack of focus, I guess? There’s no broader affect to latch onto besides the isolated releases I’ve mentioned. So maybe even if I didn’t experience the futurepop burnout, I think I can retrospectively discern its effects. I didn’t think anything of it at the time but VNV’s spiritualism really rubs me the wrong way these days. 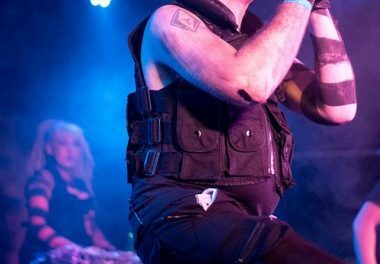 I’ve increasingly come to think of them as being pretty tangential to our thing, charting a path from :wumpscut:-esque historically enchanted electro-industrial straight to their own unique thing on Futureperfect. Empires is the momentary transition state, and it seems to me, really the only time when what they were doing intersected with the broader developments of the goth/industrial scene. They left massive splash and immediately set sail for their Perfect Future, travelling into musical territory that I’m increasingly less interested in. Still looking forward to seeing them this fall, though. VNV were the first band I ever loved and I still think Empires is a masterpiece. As for Covenant, I’ve found that their first three albums have actually held up much better for me than any of their actual futurepop output. But these days I’ve come to think of Assemblage 23 as really being the “best” futurepop band to emerge out of the early 2000’s. 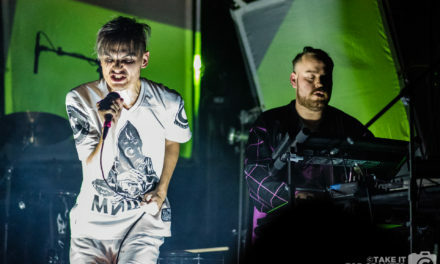 Perhaps it’s because they were less popular to begin with, but they seem to have transcended all of the drama surrounding futurepop and retained a distinct and interesting sound more than a decade after the heyday of the scene that birthed them, never putting out a bad album in the process. Today, even though I don’t listen to futurepop particularly often, it remains at the dead center of my comfort zone, something I can always fall back upon and enjoy in pretty much any circumstance. At the very least, it will always have a place in my heart for its role in introducing me to the industrial bands on the 80’s and 90’s that ended up replacing it as my central musical interest. A23 have definitely aged the best out of the futurepop genre for me personally. Tom’s universal lyrics and dedication to full, immersive melodies keep me coming back for more, even when I’m ready to dismiss the genre as a whole. I think his exploration of the human condition keeps A23’s music fresh, while similar bands sound dated. From the moment in 1999 when VNV Nation released Empires to the release of Icon of Coil’s Machines Are Us in 2004, Futurepop was the ubiquitous sound in goth/industrial clubs. It’s arrival and popularity running parallel to the Matrix films. But the influence of Futurepop and importance has outlasted it’s popularity. Futurepop’s popularity was due not only to it’s melodies, songcraft, clean vocals and use of human emotion. But also due to the main groups having strong frontmen who could deliver while performing live. To break a group through to the U.S. market successful touring and word of mouth are key. This is something that the big four delivered. You can gain a cult following with cult club hits but strong live performances build bands fanbases in the States. The difficulty in gaining Visas to the U.S. since 2008 has been a major hinderance in breaking any non-U.S. bands. Hence the bands that we’re big before 2008 are still the big bands. Despite the large amount of electronic music trends since futurepop none have been as ubiquitous. Dubstep, Whitch House, Aggrotech, Glitch, Death Industrial, 8-Bit, Out Run have all been niches audiences smaller than futurepop. None of them have offered the feeling of a Zeitgeist. EDM with it’s big names and performances and huge festivals is currently the most popular form of electronic music and it owes a huge debt to trance. Trance’s big sound lends itself to big audiences. But it’s facelessness keeps it Techno. So did futurepop die like Roy Batty in Blade Runner? The short answer is yes. But it’s influence has been wide ranging since so many people heard it. The biggest influence has been re-introducing U.S. audiences to synthpop. Something that can also be attributed to electroclash, but to be honest electroclash’s moment was even more fleeting. But Futurepop by blending elements from Techno, Industrial, EBM, 80’s synth scores with synth-pop, helped change the view of synthpop. Synthpop due to the blending with other genres seemed more modern and dark. No longer did seem like something that belonged only at an eighties night. The other important legacy of futurepop is more direct. Although all of the founders of futurepop moved on from the sound after 2004, they created new paths and avenues for our thing to explore. For me personally, this has been most satisfying when futurepop is blended with electro and progressive leanings. Where lyrics are not distorted beyond comprehension, where sound exploration is more pop than dark electro, where the influence of progressive electronic from Vangelis, Jean Michel Jarre and Tangerine Dream are included. Would Haujobb’s beautiful masterpiece New World March have been possible without Daniel’s time spent exploring Futurepop with Cleen and Destroid? 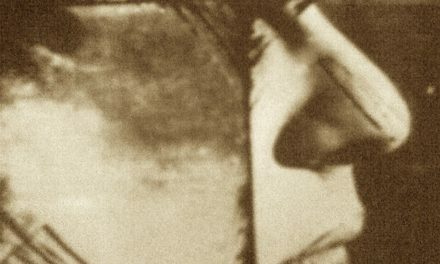 Would the mature sound of X- Marks The Pedwalk’s Inner Zone Journey have existed without his explorations of techno sound which began on his pre-futurepop albums Meshwork and Drawback? I think futurepop has made these explorative outliers possible.